Next Stop: Food | Food Blogger located in Sydney Australia: Sparrow Mill and Red Pepper - KFC with Appetising Wasabi Sauce!! Sparrow Mill and Red Pepper - KFC with Appetising Wasabi Sauce!! The Sparrow's Mill is a relatively new KFC eatery in the city which is conveniently located opposite world square on Goulburn St. To avoid a long queue, be sure to get here relatively early (around 6pm). There's so many different kind of chicken to choose from, the first thing I saw on the menu were the words "Incredible Chicken Gangjung" so I excitedly ordered it. Gangjung is a traditional korean cookies made out of puffed rice, honey, peanut and sesame seeds. Unfortunately the sauce was a bit too sweet for me and the chicken is covered with the sauce so it's not as crunchy as the original fried chicken. I was kicking myself for not trying the original one!! These noodles were very tasty and it comes with a lot of veges! 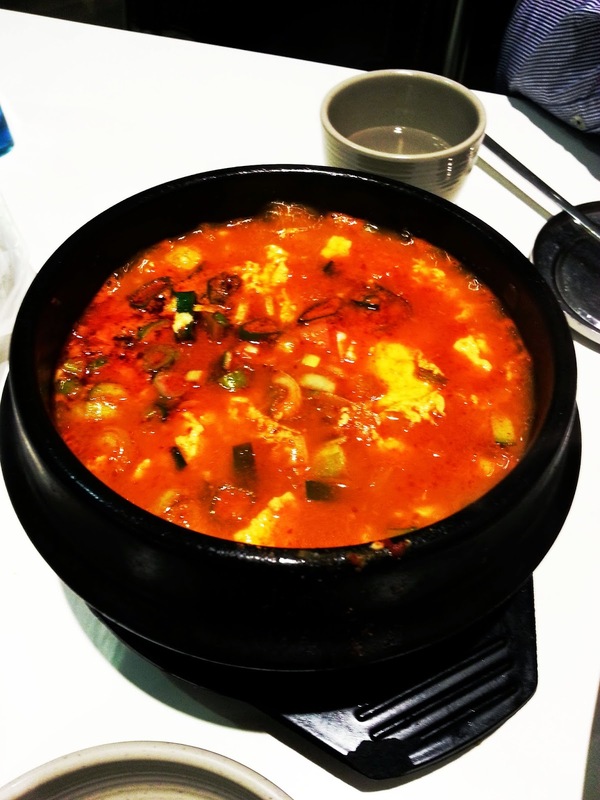 Spicy tofu soup is always so good in Winter to warm ourselves up, just looking at the vibrant red bubbling dish makes my body warm. This was delicious and not overly spicy. 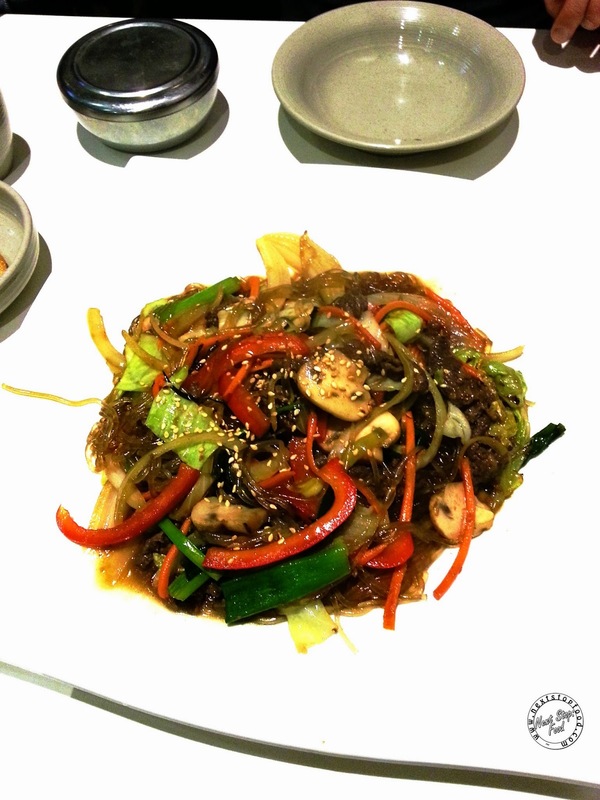 If you've read other posts about The Sparrow Mill, you'd probably find out that their sister restaurant is Red Pepper, which is located inside Strathfield Sports Club. I was craving fried chicken one weekend, so we happily went to Stratty to try it out! Of course I ordered the fried chicken this time! The sauce was AMAZING, that hint of wasabi went so well with the crunchy chicken. 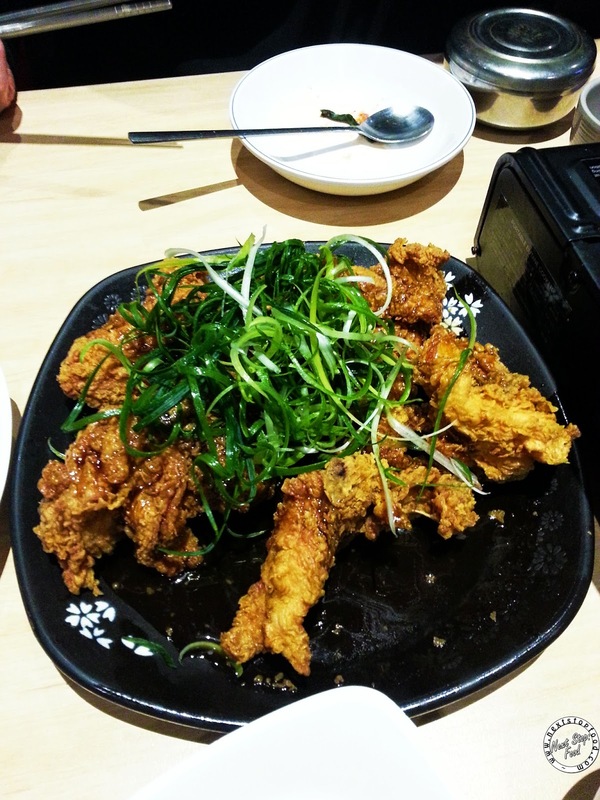 But I must say, Naruone's fried chicken is crunchier so I prefer them more than Red Pepper & The Sparrow's Mill. As it was our first time going to Red Pepper, we didn't know if we order on the table or go to the counter. So we asked one of the waiters who said he'll take the order and then after we "ordered", he gave us a confused look and asked us to go to the counter near the bar to order. Hmm weird much? Snow cheese chicken OMG. Sure looks like a fried chicken kind of day now! really want to try their snow cheese chicken! So far, I've only tried KFC at Beschico and have not caught the craving bug. id like to try the snow cheese one next time! i didnt get to try the snow cheese! lets call it a date? Oh dude, believe the hype, the snow cheese is freakin' amaze! 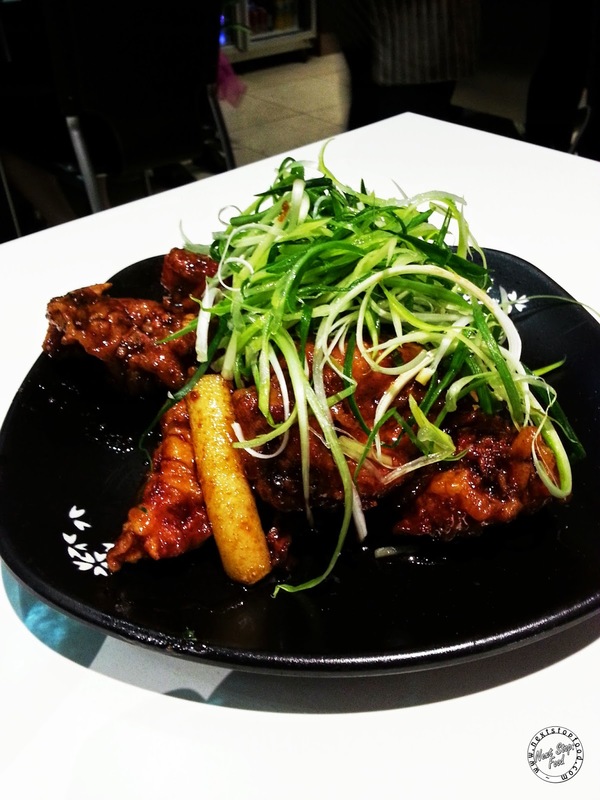 I love Red Pepper's spring onion fried chicken even more than Naruone's. Ok REALLY need to try the snow cheese!!! !